Freddomatic is flexible and involved producer of Copper-aluminum heat exchangers for refrigeration installation. Welcome to the website of Freddomatic. Freddomatic is derived from Italian and stands for refrigeration. From Maastricht Freddomatic over 50 years known as a company dedicated to the production of copper – aluminum heat exchangers for the commercial refrigeration and freezing. Started as an importer and wholesaler of Italian products is often Freddomatic become a major producer of custom and series production for heat exchangers especially the Dutch and European market of refrigeration equipment. Strong point here is the link of their own expertise to the specifications of the client. The production is entirely in your own hands and takes place in Maastricht. This leads to supply both heat exchangers complete with fans as well as semi-finished products, which are assembled into a full installation. The client The application of the products is roughly divided into several categories: Cooling for the food store as refrigeration, counters and issue buffets. Application in agricultural activities such as fruit, horticulture and nurseries bulbs; also apply for transport refrigeration and air conditioning. 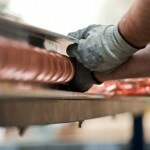 All Freddomatic heat exchangers are made ​​of oxygen-free copper tubes with pressed (99.9% pure) aluminum fins. Freddomatic heat exchangers are pressure tested after fabrication with nitrogen and equipped with overpressure transported for optimum tightness of commissioning particular. We produce 4 different slat geometries and working with three different copper tube diameters (smooth pipe). 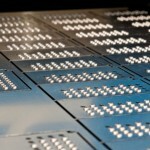 End plates and casing made ​​of galvanized steel or aluminum, completely according klantenspecifikatie.